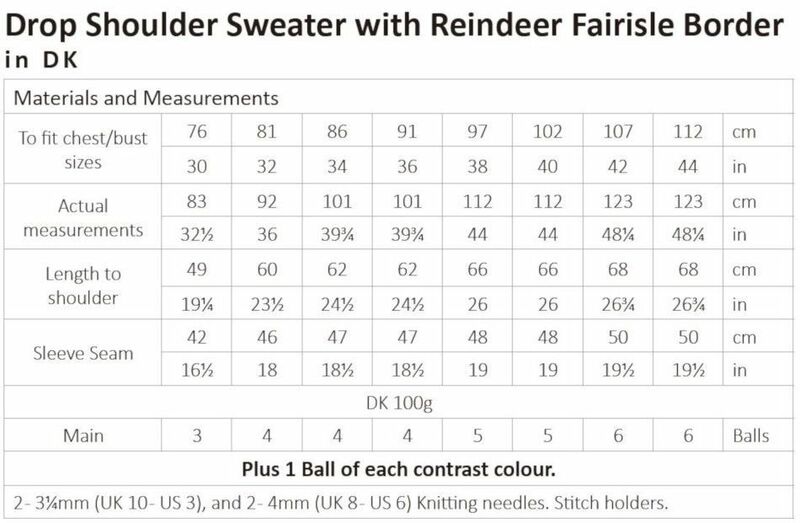 A pretty reindeer Christmas jumper knitting pattern in Double Knit featuring a fair isle-style pattern at the bottom half and at the cuffs. 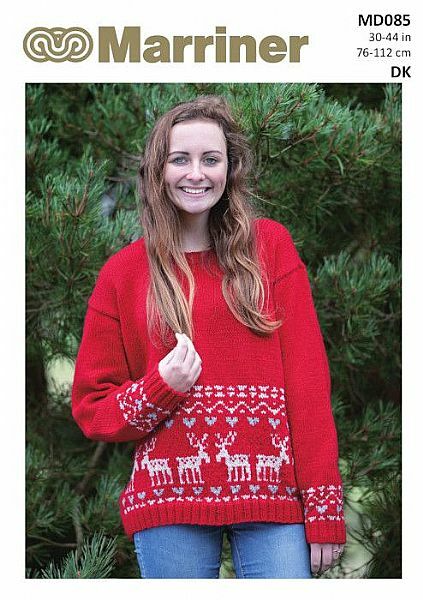 It's a great classic pattern for a more festive option. Knitted in our Double Knit range in the colours claret, silver and oatmeal.